Progressive bike shops are realizing the strong correlation between cycling and caffeine. Most bike shops offer similar products and services, so make your store more memorable with the aroma and the flavor of everyone’s favorite hot beverage. 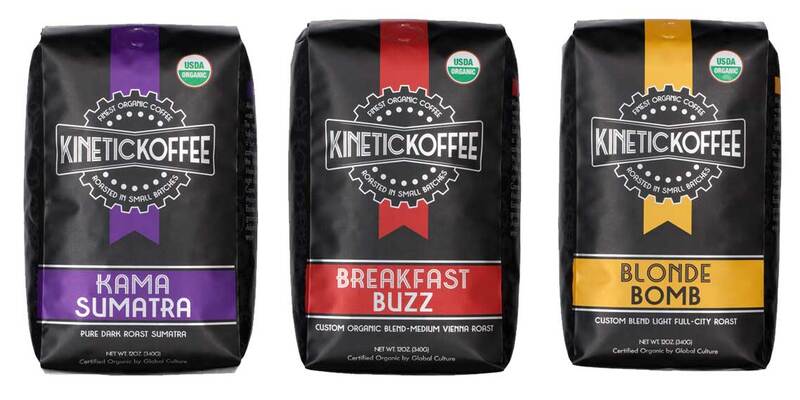 Founded in 2003, Kinetic Koffee has offered freshly roasted certified organic coffees to the cycling industry since 2005. Family owned and operated, the company works with bike shops and other outdoor-oriented companies to help caffeinated their customers. Know the story of the coffee you’re selling. Is it organic and/or fair trade? 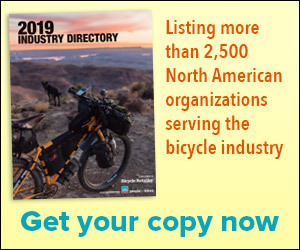 Is the company local or does it support the bike industry in some way? You need to be able to communicate why you’re offering this particular coffee. For example, Kinetic Koffee is 100 percent certified organic and donates 10 percent of net profits to outdoor nonprofit organizations. Keep a freshly brewed pot handy for your customers in the repair area. Not only is this a great service that will keep the customer in the store, but the aroma is much more inviting than that new-tire smell. Don’t let it sit for more than two hours before making a fresh pot. If you offer brewed coffee, make sure that you keep the area clean and neat. A tidy coffee area shows your store’s commitment to professionalism, much like your dressing room and bathroom. Remember, this ain’t no truck stop. Brew into a stainless thermal carafe, rather than glass. The stainless versions keep coffee hot and fresh longer, while glass carafes need to be kept on a heating element, which cooks the coffee long after it is brewed. Even the best coffee can’t stand up to that. An espresso machine is even better. If you use a pod-style brewer, such as a Keurig, invest in reusable pods to minimize landfill waste. Have creamer and sugar or sugar substitute available. Buy quality coffee and make sure it’s fresh — you won’t need as much creamer and sugar. A bag of coffee with your logo is also a great way to promote your store. You can sell it, or you can use it as a thank-you gift or a closing incentive on a big sale. 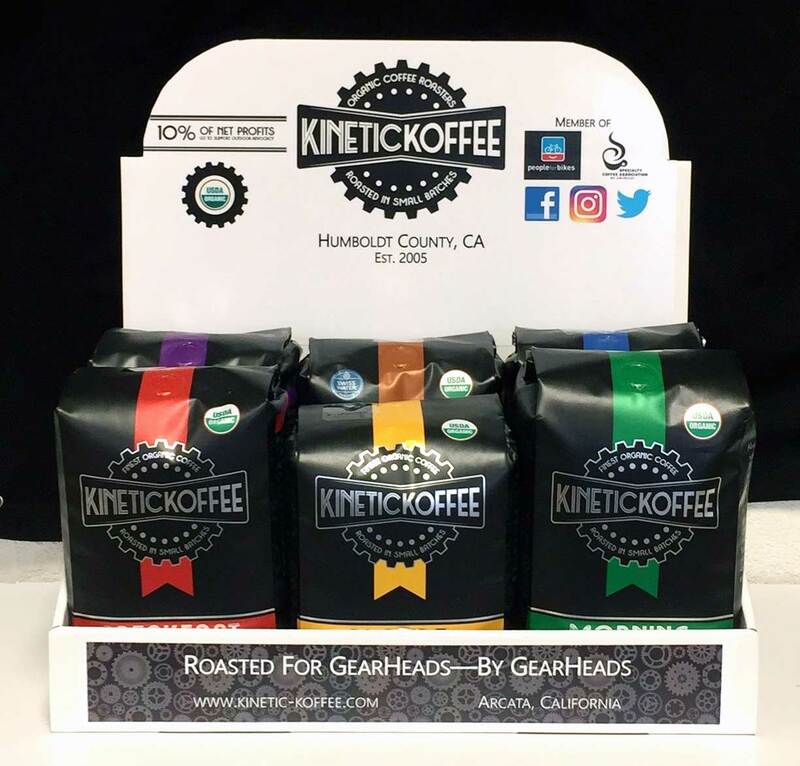 Kinetic Koffee offers its Custom Label program with low minimums roasted to order. Keep a few bags of coffee next to the register for quick impulse sales. How about getting coffee mugs made with your store logo? If you do sell coffee mugs, presses or other coffee products, group them all together, so your customers can easily find everything they need. Most important, sell a coffee that you and your staff enjoy. As with almost everything else in the store, if the employee believes in the product, the customer will buy it. Cycling as we know it is almost impossible without coffee. KInetIc Koffee is here to caffeinate your customers and staff at race time, tour time...any time! In addition to our own branding, our CUSTOM LABEL program allows you to place your logo on our small batch, craft coffee. This puts your brand in the hands of your customers at home every morning and before every ride. We donate 10% of our net profits to outdoor and cycling non-profits each year.